HOLLY CREEK...Estate homes in this beautiful community are rarely on the market ...this Single family home is now available and features 3 bedrooms, 2-baths, a separate laundry room plus a 2-car oversized garage which owners built big enough to store a small boat!! .Family- friendly split-floor plan, open dining and living space, breakfast area, new refrigerator, private, screened-in covered porch. 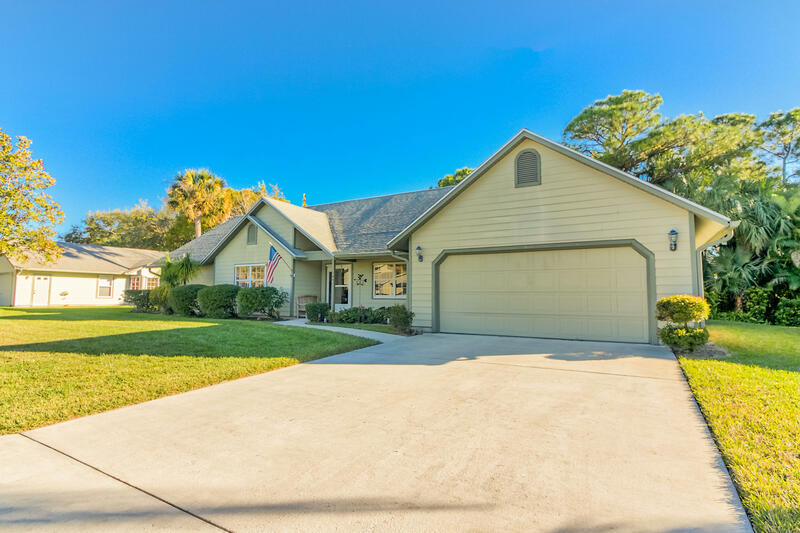 Wonderful location just mere minutes to Hutchinson Island beaches, downtown Jensen and Stuart with access to numerous golf courses, several marinas, shops and restaurants. Pet-friendly with 2 pets up to 40 lbs. each. Excellent school system. Beautiful heated pool, tennis courts and active Club House for many social activities throughout the year.